I know it sounds crazy, but the bustling metropolis of Hong Kong is actually a great backdrop for hiking. Hong Kong Island has lots of hills and trails, and if you’re ready to walk off last night’s round of drinks and dim sum, then check out any of these excellent hiking trails. This is one of my personal favourites. It’s a trail on Lantau Island (so not technically on HK Island, but close enough), which starts just behind the Big Buddha. Look for the signs (last time I was there, there was lots of construction so keep an eye out) as the trail is right there but easy to overlook. It’s about a 10 minute walk along a quiet trail before you reach the Wisdom Path, which is a circle of 38 wooden timbers with Chinese sayings carved in them, and of course some excellent views. The path goes on from here, which is part of the 70km Lantau Trail. Another fantastic trail is simply Dubbed the Hong Kong Trail, and it’s one of the city’s major routes, so it’s well marked throughout. That’s a good thing because the trail winds around a 50km stretch of land, starting up on Victoria Peak and ending in Big Wave Bay. You start with great city views, with some parts of the trails right on the cliff – not for those with a fear of heights! As you go you’ll run into scenic rivers and reservoirs, and near the end the views of hidden beaches and coastal shores is unbeatable. Check out as well our list of 10 Things to do in Hong Kong other than the Frenzied Shopping for more traveling tips and inspirations! Time Asia called the Dragon’s Back the best urban walking trail in Asia. 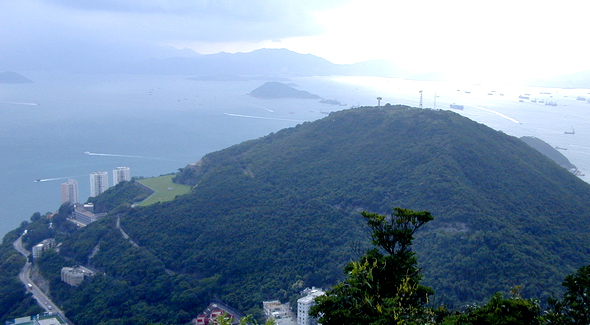 This 5km trail runs from the edges of Hong Kong itself to a great island hang out, Shek O. 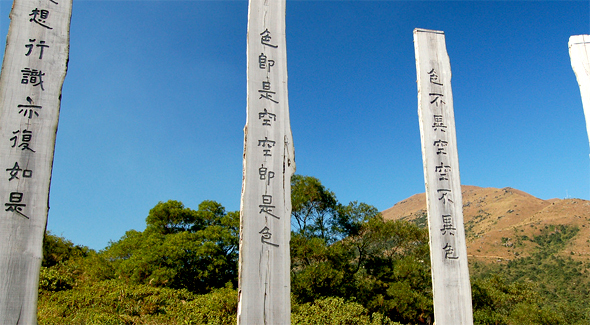 The trail is named after the ridge that you cross midway, inside Shek O Country Park. 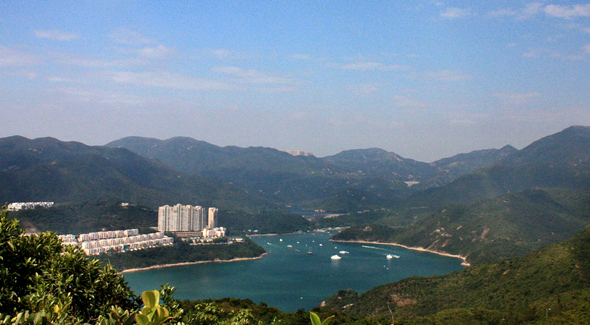 From here you get fantastic views of Stanley Peninsula, Clear Water Bay Peninsula, and of course the sea. Shek O is also a great place to hang out – try one of the fresh seafood restaurants after you walk, where you can eat outside and soak up the fresh sea air. Another calm and relaxing walk is along the Violet Hill Path. 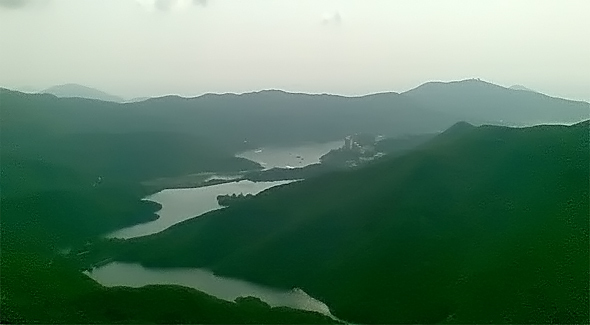 It starts at the Wong Nai Chung reservoir and then heads around Violet Hill itself. 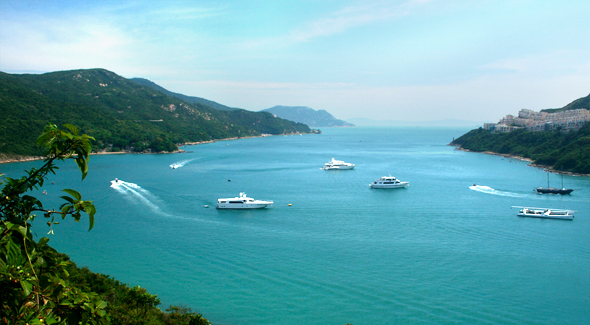 The views just never stop – Brick Hill, Deep Water Bay, and Wong Chuck Hang, and Repulse bay, just to name a few. It’s a bit of a rocky path, so while it’s not terribly difficult, you do need to watch your footing. The trail ends at Tai Tam Tuk Reservoir, and you’ll know you are close when you start to see all those beautiful streams and creeks. The entire route is approximately 7km. Hong Kong is a megapolitan city of many facets. Explore a different side of HK, the Kowloon Side, with Andy Hayes at Unearthing Asia. This 9km trail is great not only for the scenery but for a bit of nature and historical sightseeing too. Be sure to note the signs along the way explaining flora and fauna that you’ll encounter. Heading out of Quarry Bay, the route heads up into the Quarry Bay Complex. The red brick house building here is a former sugar factory, now a nature center. If you head down along the Quarry Bay Tree Walk you’ll find some large outdoor stoves that were built during WWII. You’ll also find Sir Cecil’s Ride nearby, where Japanese invaders once landed. 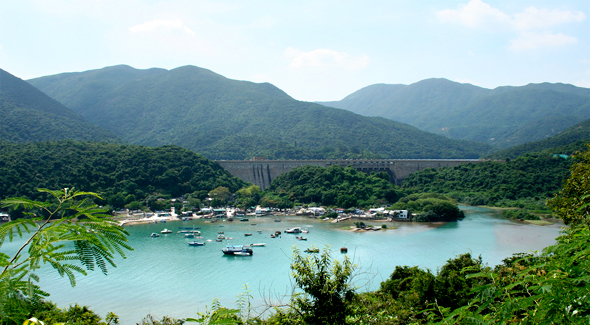 The route carries on through Tai Tam Country Park to the Tai Tam reservoir. Warning: only those who want to get fit need to hit this trail, the last of our six recommendations. It is only 1km long, which may seem an unlikely candidate for a fitness regime, but in fact there are twelve fitness stations along the way to make sure you get a full body workout. There are great views, naturally, as you head up from the gorgeous gardens of Pinewood Battery and head straight up. The Hong Kong Medical Association actually helped contribute to the signage and layout of this path, so it’s definitely a great choice for hangover cute or to work up an appetite for lunch. India is another country with mesmerizing mountain attractions. Check out our 10 Stunning Mountain Attractions in India. It is worth noting Hong Kong is the only place in the world I’ve visited where I’ve had a hard time with the pollution. It can be a very thick haze, and you’ll feel it when you’re out and about. Ok, so wearing one of those face masks looks absurd, but is it really not worth it if it saves your lungs? Also, be sure to grab a map from any tourist office, so that you know where you’re going. Often the best routes start and end in different places, so you should be aware of what public transport options will take you back to your accommodation. If you are planning a visit to Asia, don’t forget to check out Unearthing Asia, the best Asia travel portal focusing on Lifestyle, Culture and Attractions all over Asia. We have got some of the best last min Sun holidays ideas and inspirations in the region of Asia, such as this list of Singapore’s best romantic views.